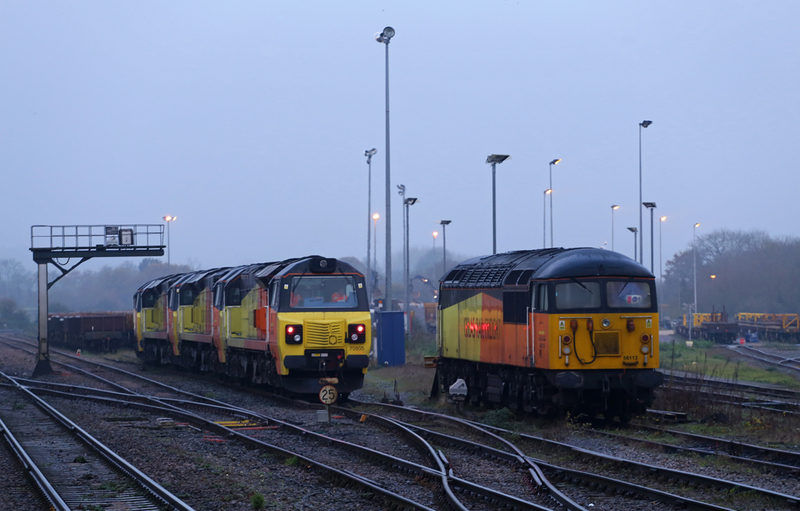 Captured in the early morning gloom at Westbury are Colas Rail fleet members No.56113 and alongside No.70805 No.70806 No.70709 & No.70810 preparing for their days duties. 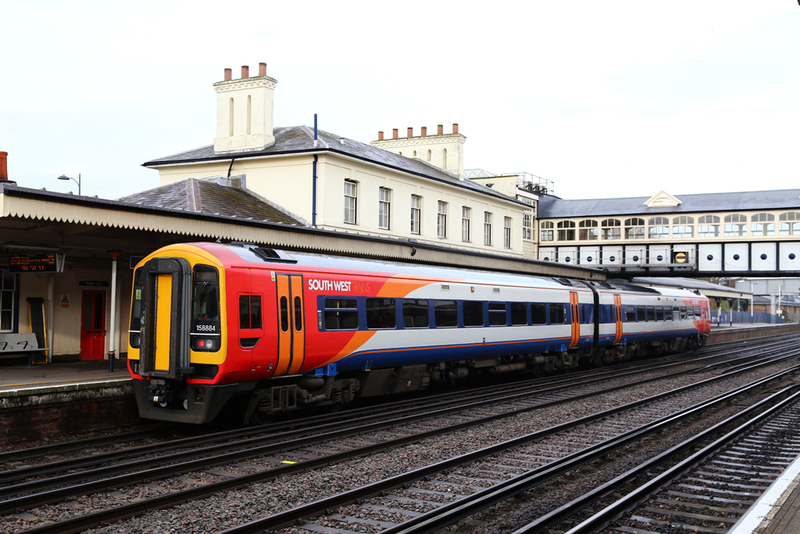 South West Trains Class 158 No.158884 stands at Eastleigh working the 2R30 08:50 Salisbury - Romsey via Southampton Central. 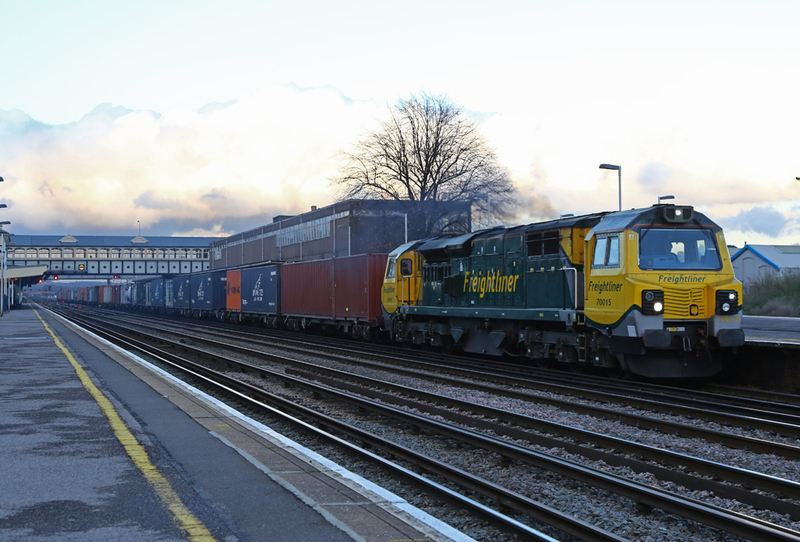 A pair of Freightliner Class 66/5s No.66540 and No.66588 lead the 4M28 09:32 Southampton Maritime - Ditton into Eastleigh for a change of crew. 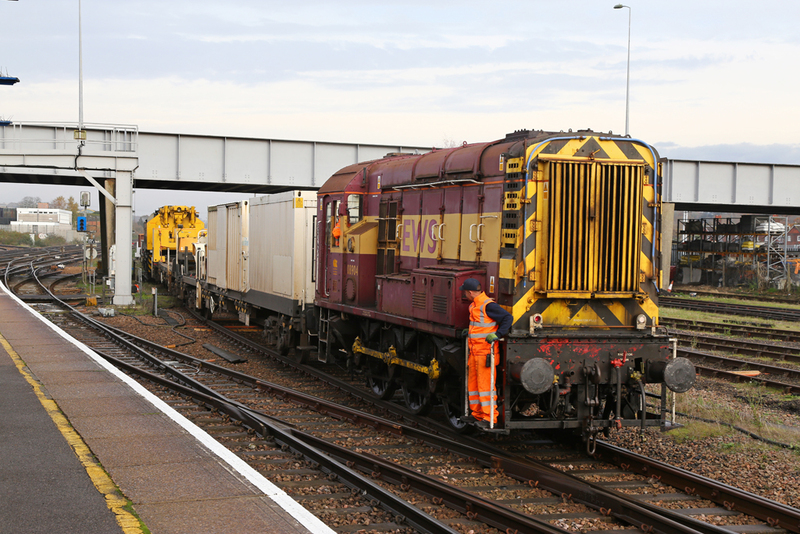 EWS liveried Class 08 No.08904 shunts the Volker Rail Crane and associated engineering wagons at Eastleigh. 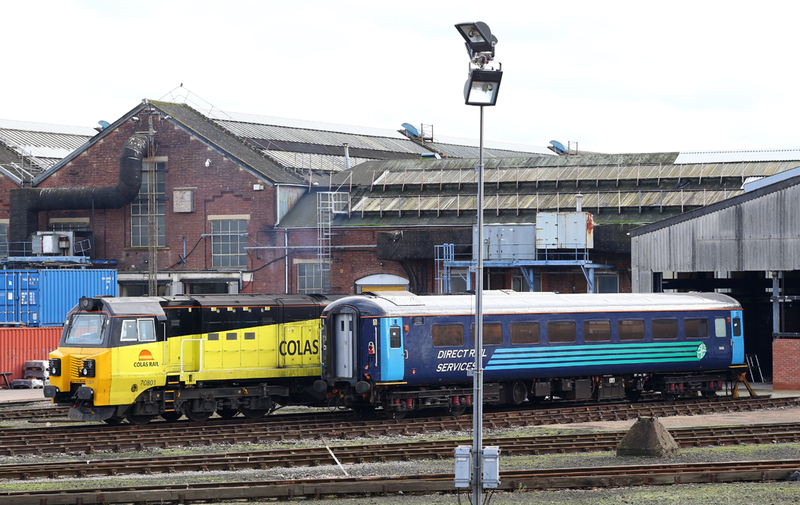 EWS liveried Class 66 No.66199 a long welded rail train in Eastleigh Yard in preparation for weekend engineering. 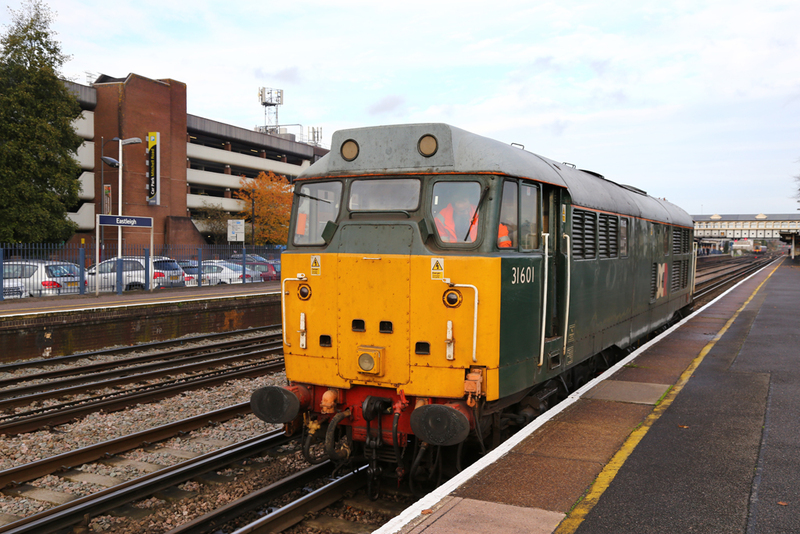 DC Rail Class 31 No.31601 is pictured at Eastleigh Station having exited from the TMD. The loco then entered Eastleigh works before collecting 50026 and towing the locomotive to Taunton . 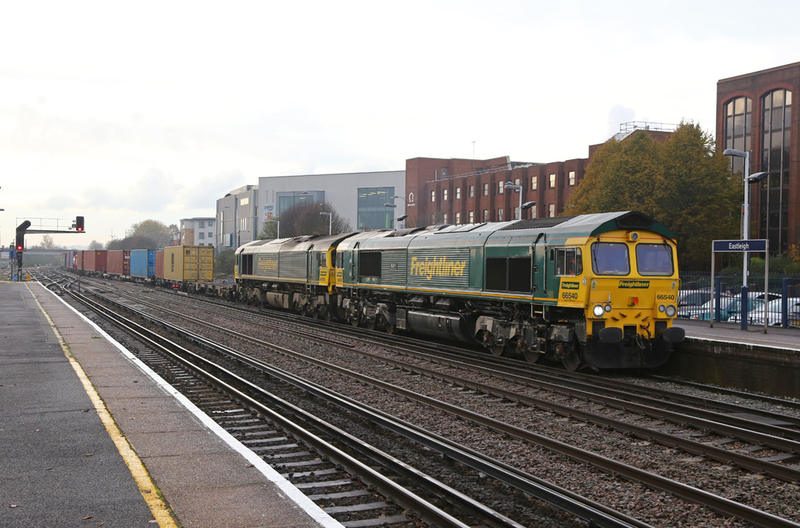 Freightliner Class 66/5 No.66556 arrives into Eastleigh hauling the 4O15 07:43 Hams Hall - Southampton Maritime. 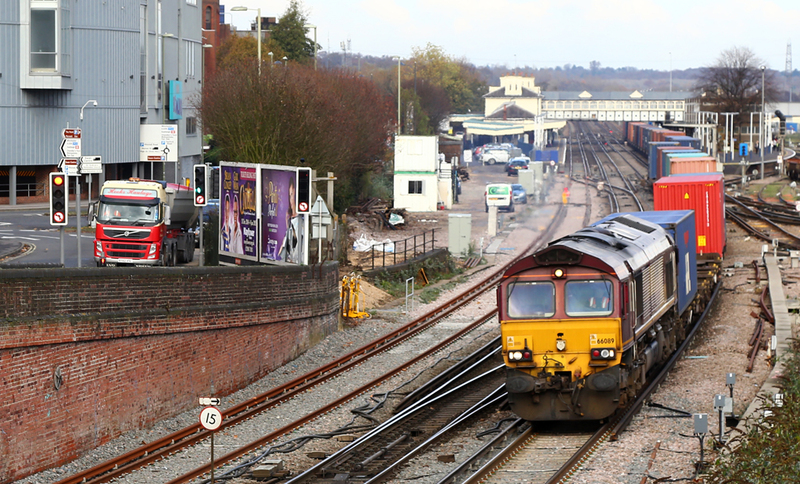 DB Schenker Branded Class 66 No.66080 rolls slowly into Eastleigh with the 6B28 11:00 Marchwood - Eastleigh with MOD traffic in tow. 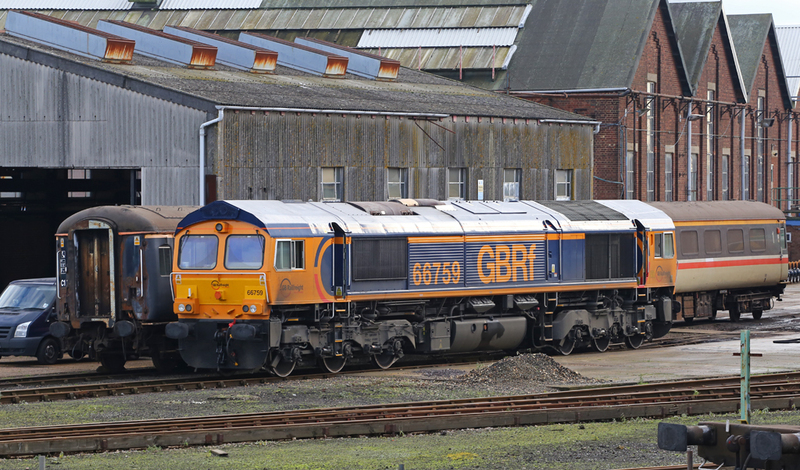 New Build Import Class 66/7 No.66759 is pictured stabled in Eastleigh Works between duties. 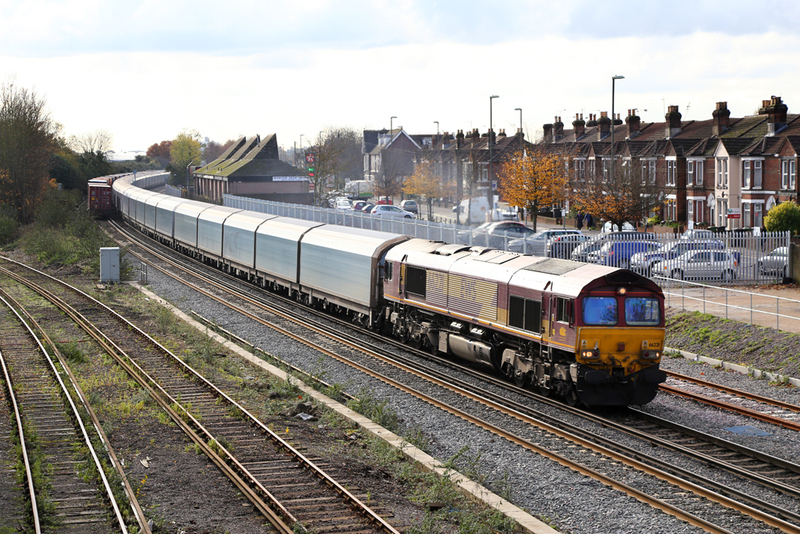 EWS liveried Class 66 No.66051 arrives into Eastleigh with the daily 6O41 10;14 Westbury - Eastleigh engineers. 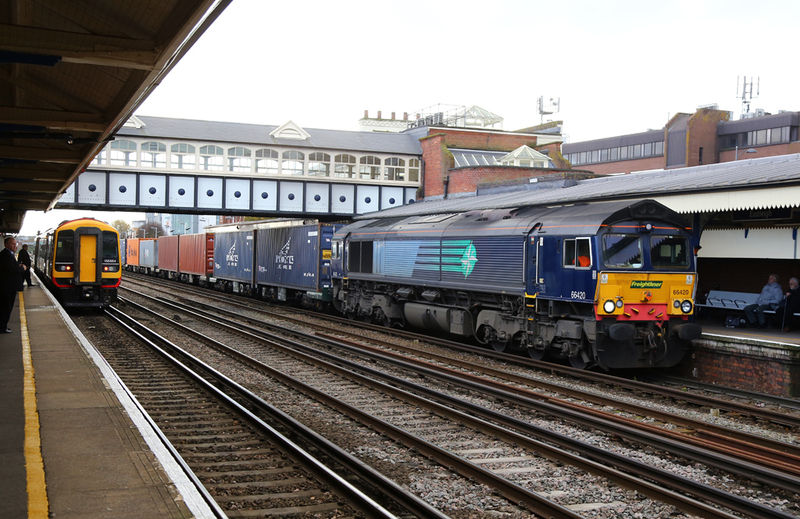 EWS liveried Class 66 No.66089 passes through Eastleigh with the 4O43 06:50 Birch Coppice - Southampton Western Docks container services. 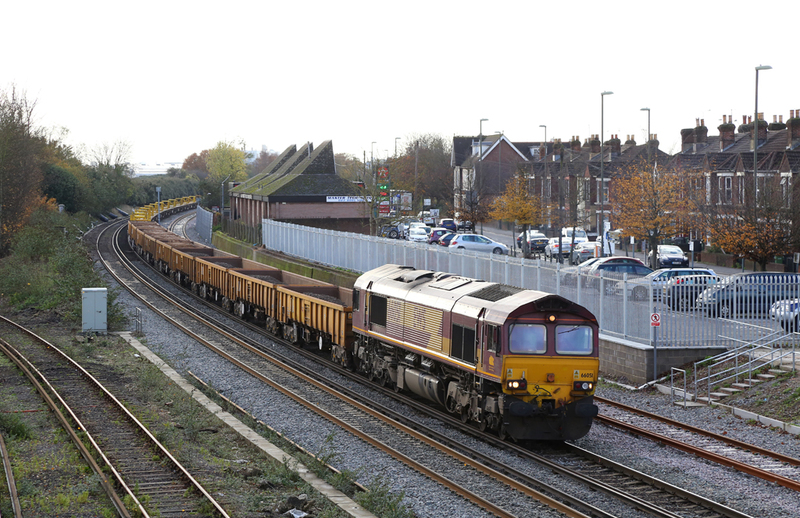 EWS liveried Class 66 No.66221 powers through Cambrell Road hauling the 4M52 11:32 Southampton Western Docks to Castle Bromwich 'Blue Sausage'. 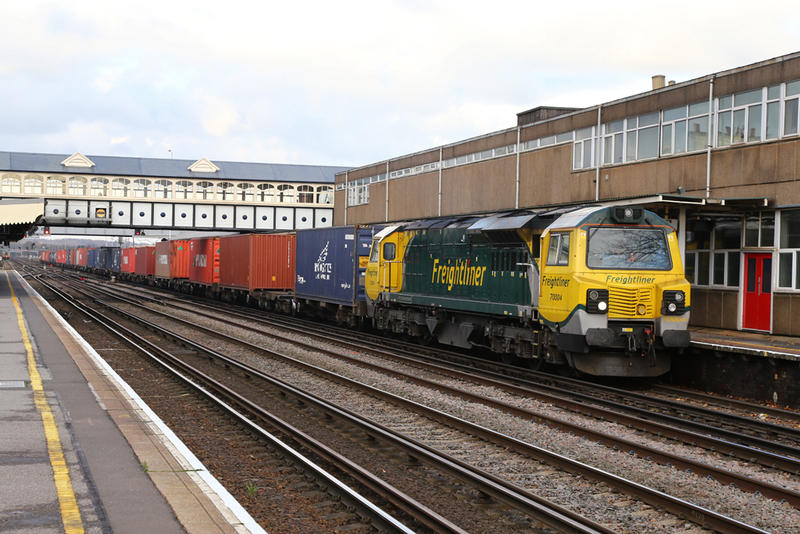 Freightliner operated former DRS Class 66/4 No.66420 is pictured at Eastleigh departing with the 6M61 09:32 Southampton Western Docks - Garston after a crew change. 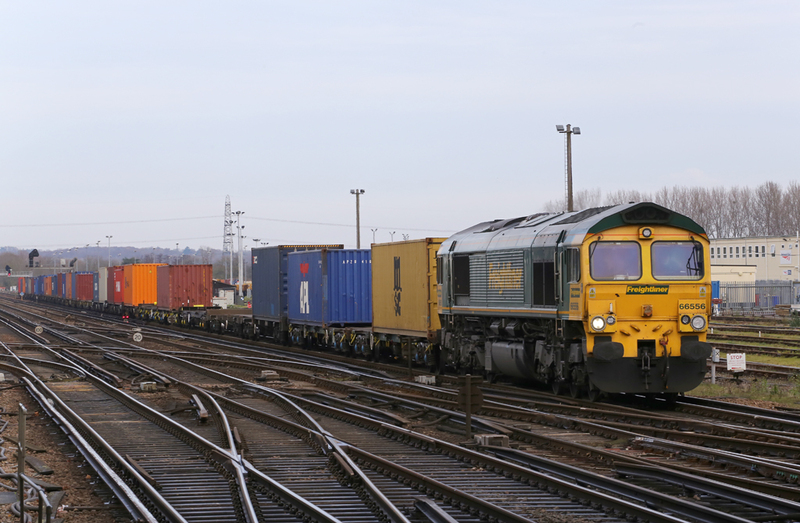 Freightliner Intermodal Class 66/5 No.66567 arrives slowly into Eastleigh for a crew change hauling the 06:12 Leeds - Southampton Maritime. Products to Germany Class 450 and 444 pass in at Easteligh. 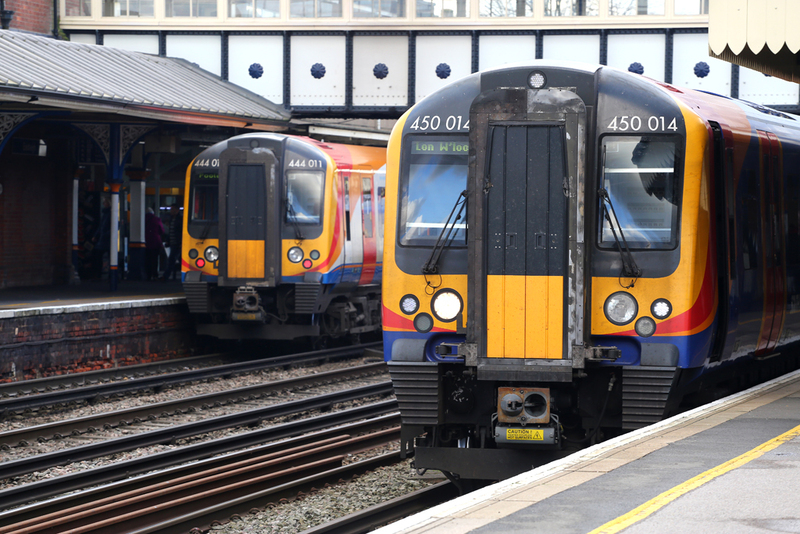 No.450008 heads south as No.444040 waits for the road to London Waterloo. 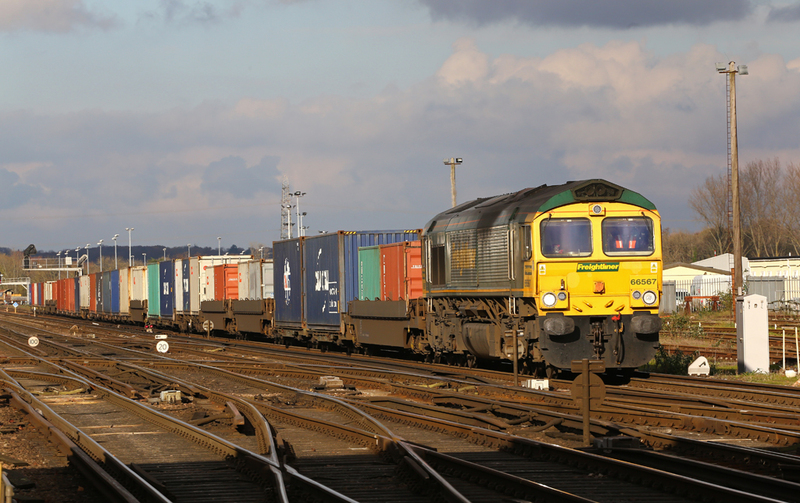 Freightliner Class 66 No.66566 passes a busy Eastleigh Yard hauling the Wentloog - Southampton Freightliner service. 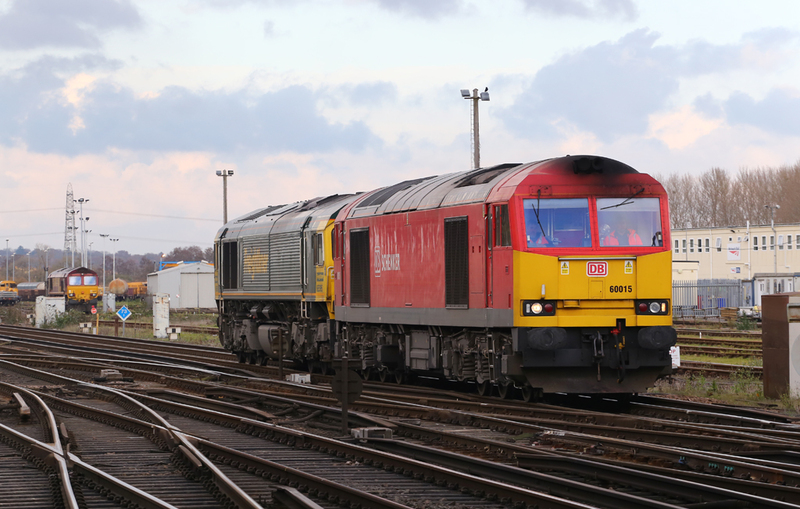 DB Schenker Class 60 No.60015 provides a rare DB / Freightliner pairing at Eastleigh, after Freightliners Class 66/5 No.66595 required a tow from Didcot. Initial reports suggested the locomotive had failed but it was later established it was low on fuel. 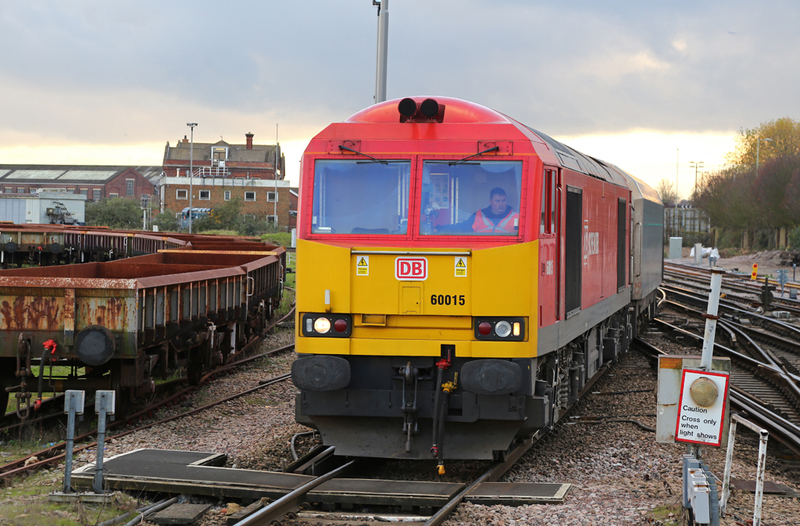 Once it was deposited at Eastleigh works by DB Schenker, 66595 was soon back at work. 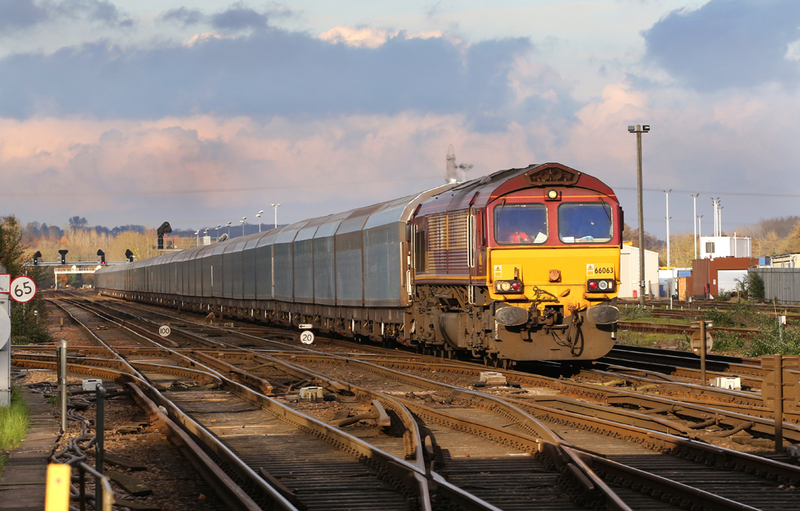 EWS liveried Class 66 No.66063 arrives into Eastleigh with the 4O40 BMW Oxford - Southampton Eastern Docks with BMW cars for export. 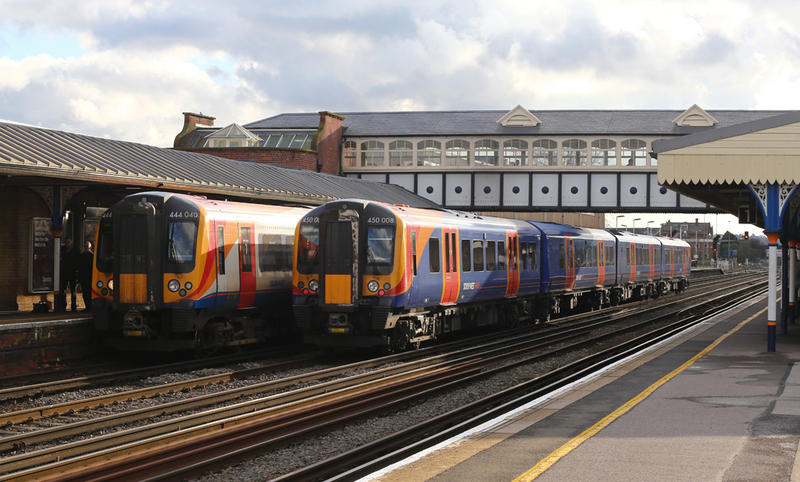 Two South West Trains 'Desiro' Units No.450014 and No.444011 are pictured at Eastleigh. 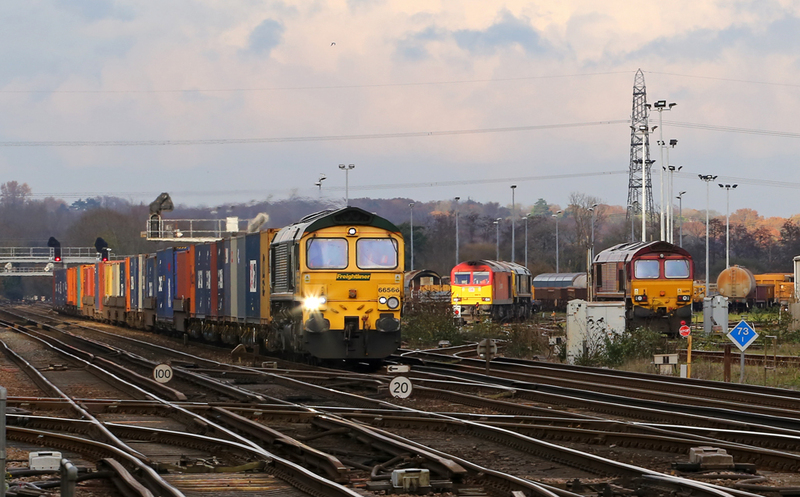 Freightliner Class 70 No.70004 calls at Eastleigh for a crew change while working a Basford Hall (Crewe) to Southampton Maritime liner. 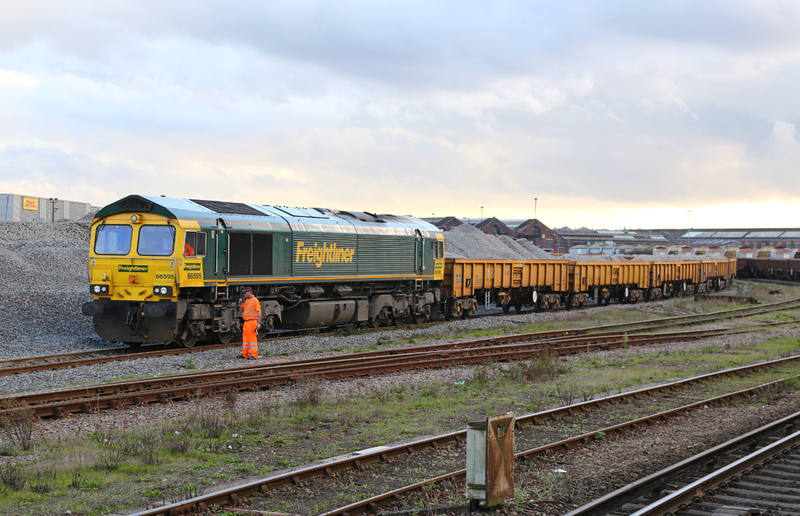 Having been refueled at Eastleigh Works, Freightliner Class 66/5 No.66595 is put back to work preparing its train to return to Hinksey Yard from Eastleigh. 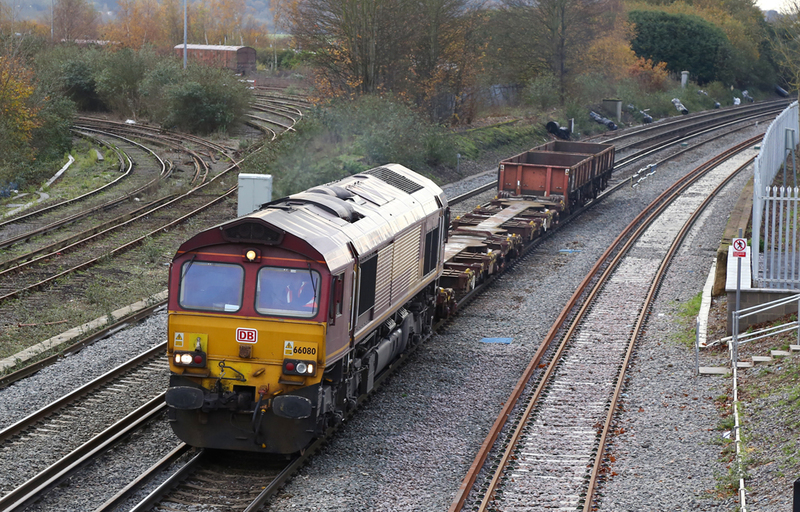 Having dropped off Freightliner's Class 66, DB Schenker Class 60 No.60015 exits Eastleigh Yard works with a selection of wagons for further shunting into consists. As the low Winter Sun sets Freightliner Class 70 No.70015 departs from Eastleigh with a Garston - Southampton contanier service.